I’m sure I don’t have to point out how brutal winter can be in Southwest Michigan. Whenever it snows, it’s almost a guarantee that the road will be shut down somewhere on I-94 in Van Buren County. During our last big storm, I was heading in the Watervliet area, tired and hungry, and couldn’t get back on the highway to go where I needed to go. I knew how to take county roads to avoid the major back up on Red Arrow Highway which is the official detour, but first, I needed food. Unfortunately, it was Sunday and my choices were pretty limited. Taco Bell and Burger just weren’t doing it for me, so I pulled in to the Chicken Coop instead. 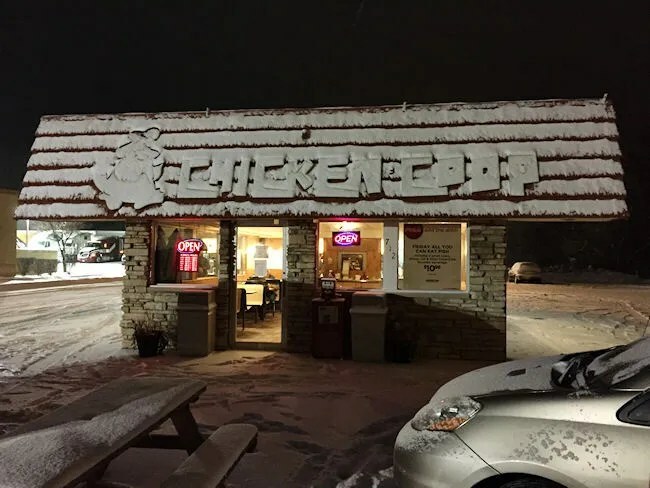 The Chicken Coop name should be pretty familiar to Southwest Michiganders. There are several stores loosely related throughout the region. This particular Chicken Coop in Watervliet is directly connected to the Paw Paw, Portage, and South Bend stores. The restaurant is on Main Street not too far from the I-94 interchange. It’s a small shop that has clearly been around for a while with minimal updates. 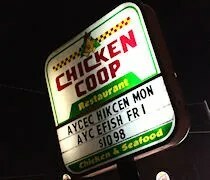 It does have a drive thru, but I wanted to get out of the car for a few minutes, so I headed inside to place my order. I was hungry. I had to skip lunch. 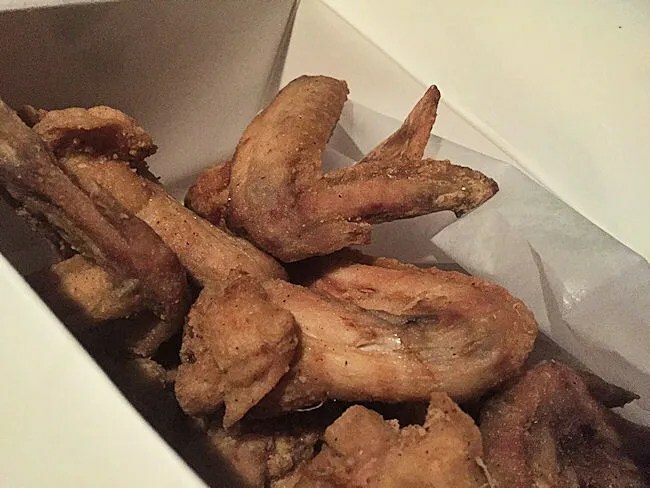 I love whole chicken wings and they had a big pack of 12 original wings for $10. I also tacked on a large order of fries and asked for it to be boxed up to go. The total price was right around $15 and there was enough food that I got two meals out of it…just as planned. The food was all dropped in fresh, so there was a little bit of a wait. The guy working the counter was pretty friendly, so some good conversation made the time go by faster as I waited for the food to be fried up. Once it was all boxed up, I was handed the bag and I headed back to the car. I needed to get to Hartford for a job assignment, so I took the back roads and just took it slow. I had a few minutes once I got to where I needed to be, so I opened up the boxes of food on the front seat and started in. The fries went first just because reheated fries taste awful, so there’s not point in shooting for leftovers. I ordered a large when I probably only needed the small. The large size took up a whole Styrofoam container on it’s own. 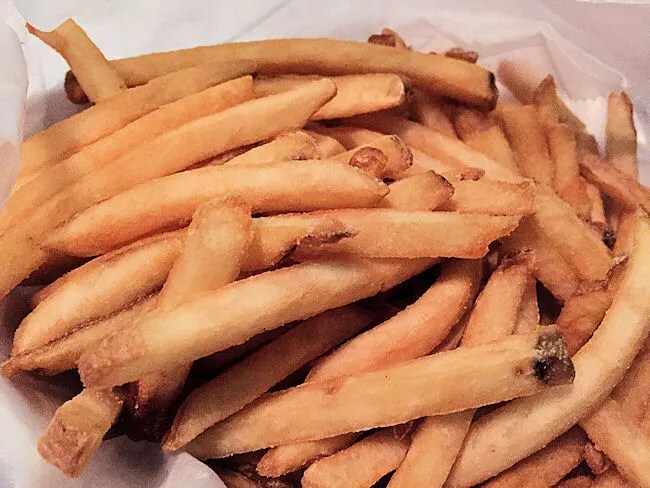 They were a thin cut restaurant style fry. Nothing special, but very filling. The chicken was all nice and juicy. It had a crispy breading with meat that just sort of fell of the bone. It was cooked really well, but there’s not a ton of flavor in the breading. It was good chicken and very satisfying I just wish for a little more seasoning to give it more than just the typical white meat chicken taste with a crunchy exterior. The Chicken Coop pretty much always delivers when I need chicken. Some are better than others and this one in Watervliet is on the better end of the spectrum. I didn´t think this location was open on Sunday, Thanks for the Information!